Duck and cover! 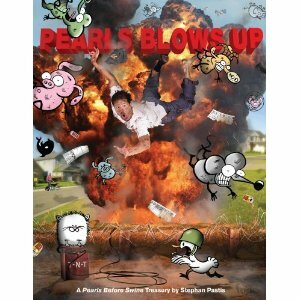 Award-winning cartoonist Stephan Pastis is back with Pearls Blows Up: A Pearls Before Swine Treasury (Andrews McMeel Publishing, $16.99, March 2011). Featuring every Pearls Before Swine cartoon from “50,000,000 Pearls Fans Can’t Be Wrong” and “When Pigs Fly”, this must-have treasury is packed with all the biting wit,clever puns, and piercing social commentary that Pearls fans have come to love. Pearls Blows Up turns the spotlight on its menagerie of misfits: arrogant, conniving, devious Rat; his lovably naive and bighearted pal, Pig; Zebra, the peaceful activist constantly stalked by those bungling brutes, the Crocs; and Goat, the all-too-often-ignored voice of reason. 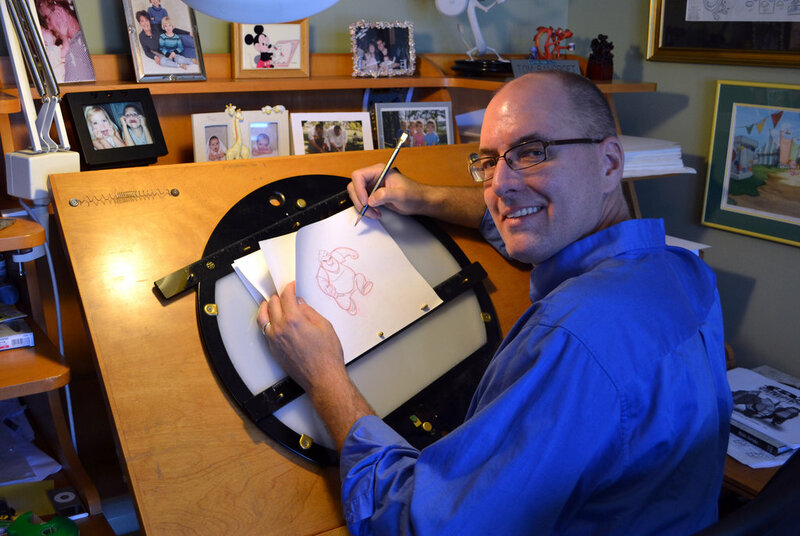 Appearing in over 600 newspapers worldwide, Pearls Before Swine tickles the funny bones of millions of fans. With cameos of characters from other strips such as Sally Forth and The Family Circus, witty annotations straight from Pastis’s mouth, and strips that go far beyond the boundaries of any comic out there, Pearls Blows Up is a guaranteed blast.